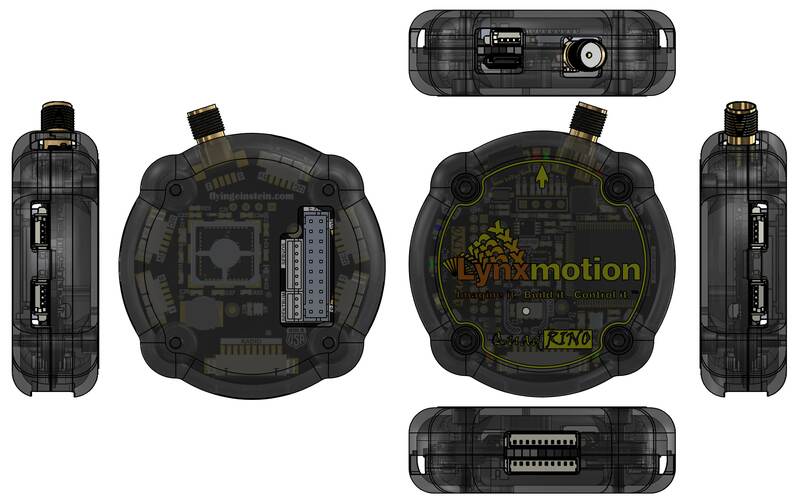 The Lynxmotion Quadrino Nano was created as a collaboration between FlyingEinstein and Lynxmotion (see press release). 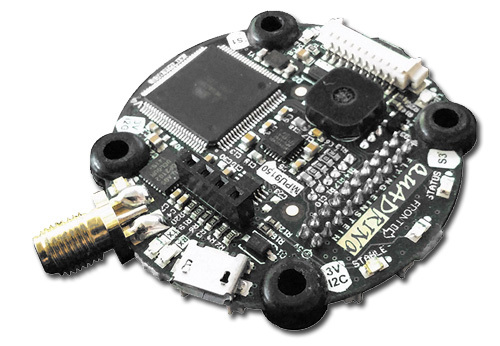 It was designed to be one of the smallest MultiWii compatible flight controllers on the market. 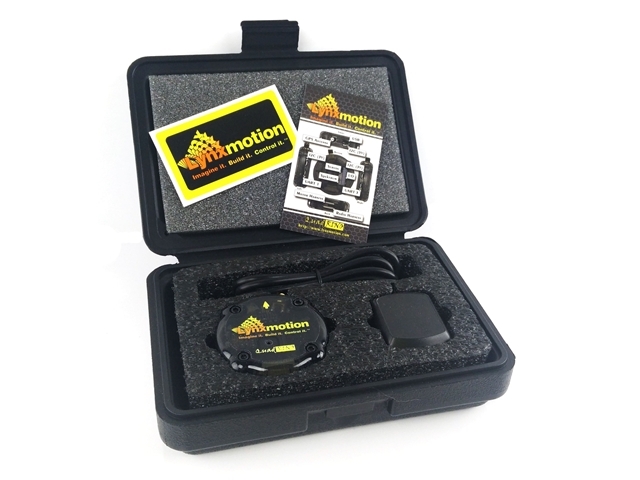 The board includes many additional features normally reserved to much more expensive flight controllers, such as cutting-edge sensors, integrated GPS, easy to use software and a case with vibration damping. 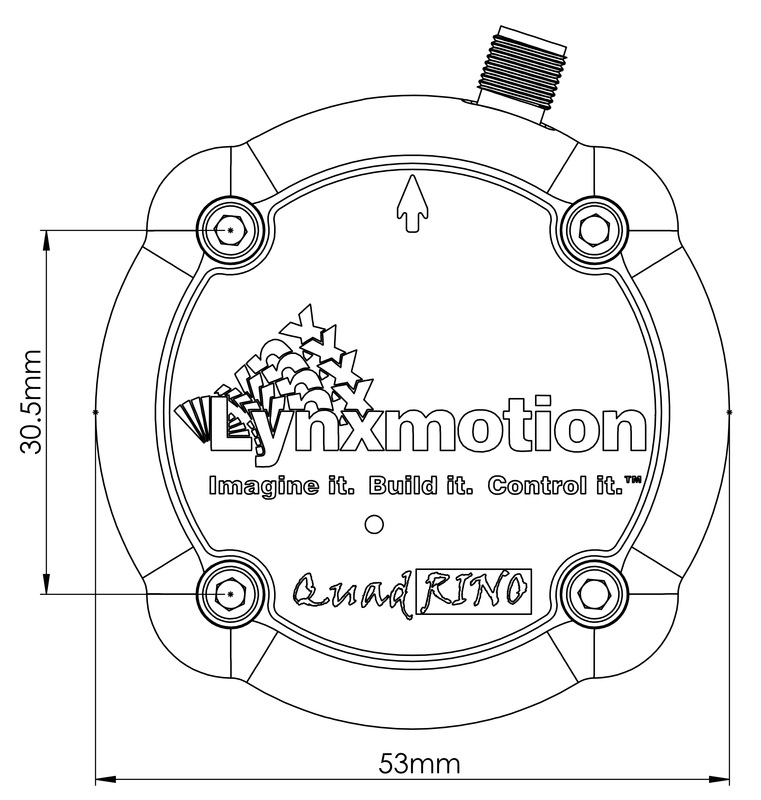 With the addition of the Quadrino Nano to the Lynxmotion UAV lineup, we will be able to provide a sturdy platform in terms of hardware and software for anyone looking to jump into UAVs. Built-in sensors as well as GPS give the user access to almost all options available via the MultiWii software, and also allows for custom modification of the code and integration of additional features and products which were not possible before. 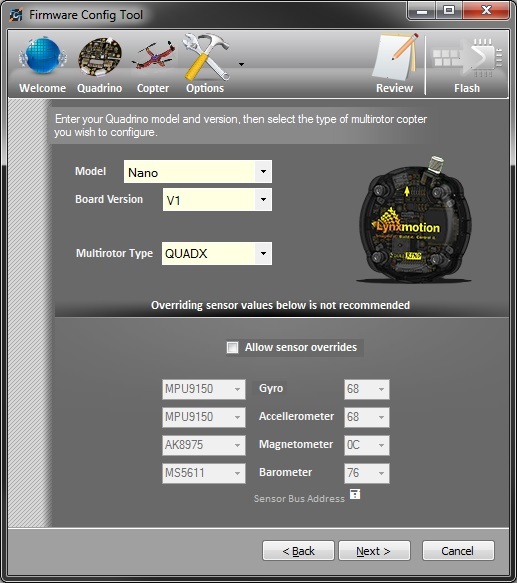 The Quadrino is easy to use with the free "Firmware Configuration Tool (FCT)" software which eliminates the need to modify code in the Arduino Development Environment. 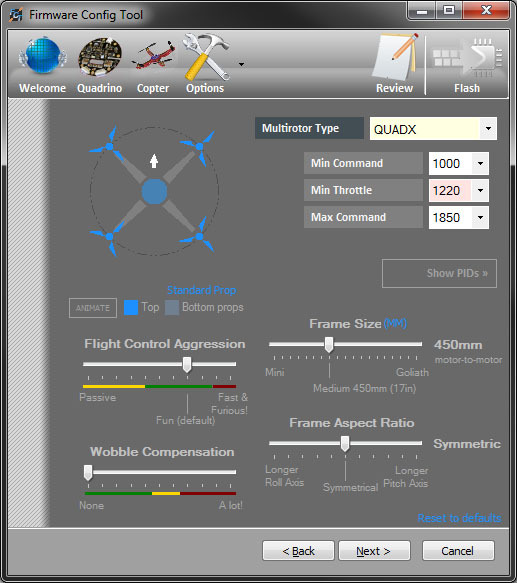 This intuitive application will guide you through the entire process of setting up your flight controller while providing lots of documentation on the various options and parameters available. 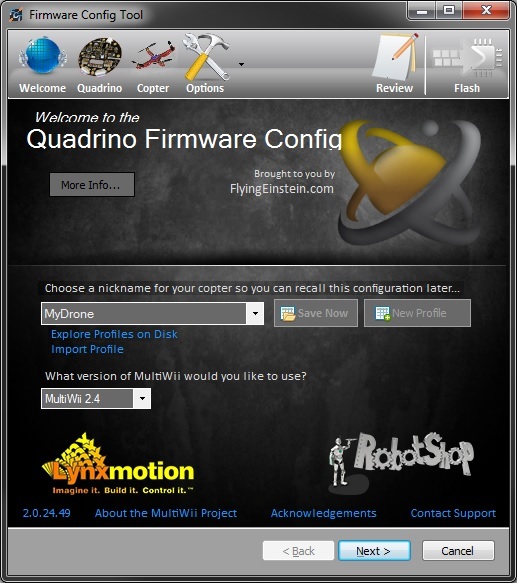 When you are done selecting your options this tool will compile and upload your custom firmware directly to your Quadrino Nano board. 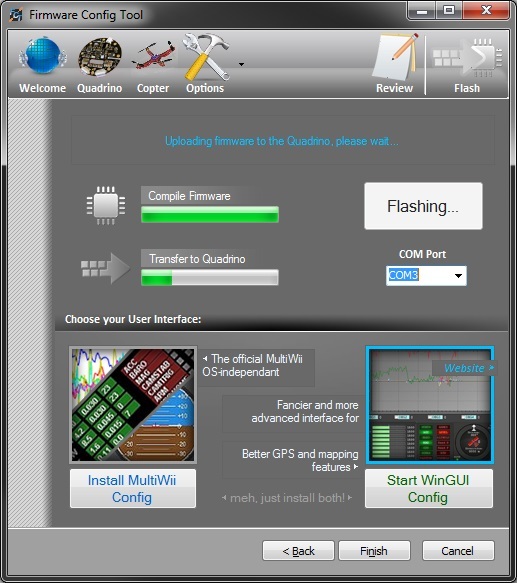 It will also install the MultiWiiConf config GUI and/or WinGUI for you.